For the first time since the club’s inception 19 years ago, the Fremantle Dockers has reached the grand finals of the Australian Football League (AFL). The AFL began as the Victorian Football League way back in 1859 until it changed to the AFL in 1990. Every state has its own state league as well as local area clubs. 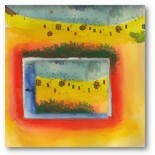 The sport is hugely popular in Australia and competes with Rugby League. The kids’ program is called AusKick and it’s free to get involved. Melbourne clubs have had a strangle hold on the AFL since it began with most of the teams coming from Victoria. They also continue to host the grand final and make it pretty hard for other states to do as little travel as their teams have to. This makes a big difference when the team has to travel 4,000 kms to get to a game and can affect the results. It’s also why non-Victorian teams and supporters hate the Victorian teams – Collingwood (the Magpies or ‘Pies’) the most – actually, everyone hates them. Team supporters take the game very seriously so make sure you don’t go and sit in ‘enemy territory’ if you go to a match. My German uncle use to go and yell and scream a lot – it made him feel like he was part of the story and gave him a good passage into being a part of Australian culture. Even if you don’t like the game, try to learn a bit about it so you can be a part of the Monday morning conversation and get involved in the tipping competition (putting a bit of money in each season and then guessing who the winners will be in each round). The Fremantle Dockers supporters are known as the Purple Haze because that’s our uniform’s colour. 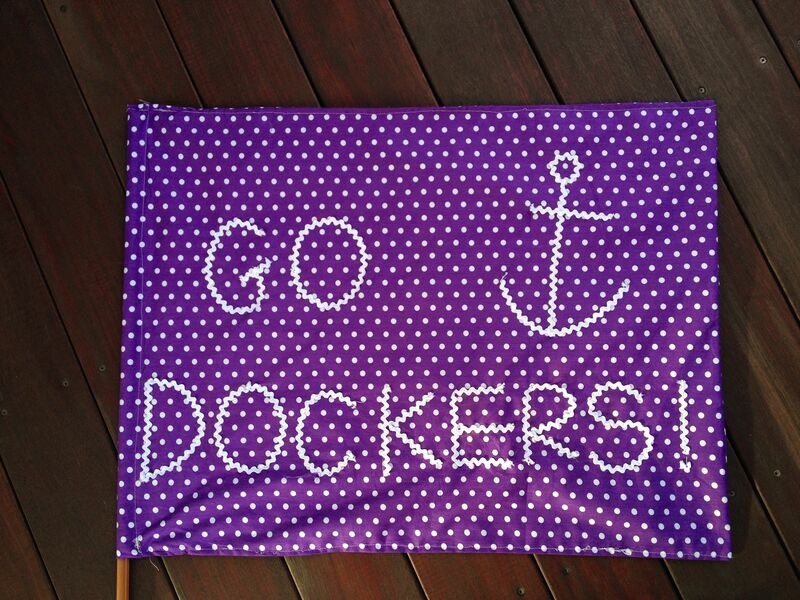 GO DOCKERS! The game is this Saturday the 28th of September, 2013 at 2.30 Eastern Standard Time which is 12.30 here in Fremantle. Get on down to your local pub to watch us or head on down to Market Street in Fremantle to watch it on the big screen with the Purple Haze. I know, we lost the grand final about three weeks ago… It takes time to concede the truth of the matter, still it was our first grand final and that’s a great achievement! 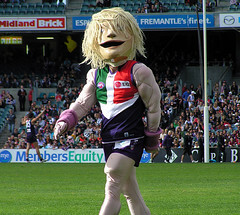 This entry was posted on September 26, 2013 by Helene Markmann in culture, etiquette and customs, leisure and tourism, news, popular culture and tagged AFL, Aussie, Australia, Australian Football League, dockers, Fremantle Dockers, Fremantle Football Club, freo, Grand final, Rugby League, Victoria.